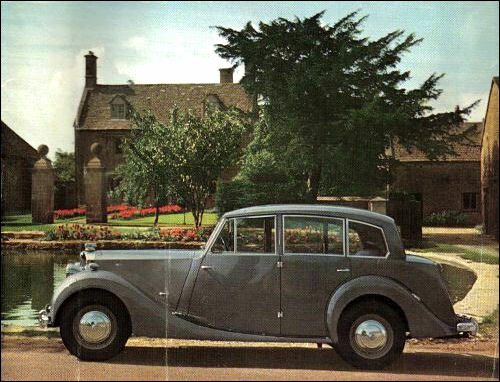 Production figures of the Saloon: 1800 - 4000, 2000 - 2000, Renown - 9301, Limousine - 190. 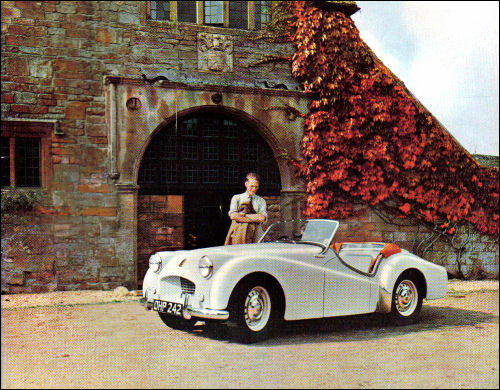 Triumph TR2 Sports, Model 20TR2, was introduced in the summer of 1953 – the result of exhaustive test work on the two Triumph Roadster prototypes. The production model feature a longer, squared-off tail, housing a good-sized luggage boot, and modifications to brakes and chassis frame. The sidelamps are moved to below the headlamps, and the rear lamps raised to the tips of the finned wings. The power unit is derived from that of the Standard Vanguard. With twin SU carburettors and 8.5:1 compression ratio, the 1991 -cc OHV Four develop 90 bhp at 4800 rpm. It drive the hypoid bevel rear axle through a four-speed gearbox. The car quickly established itself in competition work by taking 1 st, 2nd and 5th places in the 1954 RAC Rally. 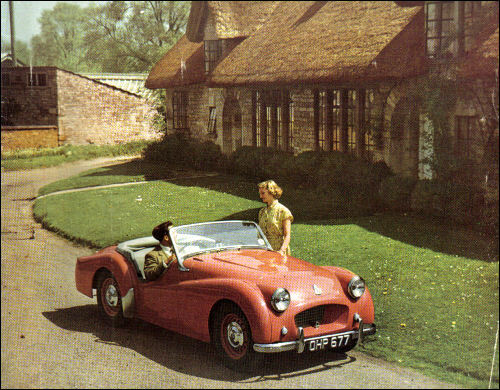 A specially tuned TR2 achieved 125 mph on the Jabbeke highway in Belgium in 1953. Doors modified in October (short-door). TDC (4 cyl, 2088 cm³, 68 KM) - end of prod.